In the last hundred years, we have seen great changes as a society. The industrial revolution, world wars, proliferation of businesses and more. However, the societal changes we have seen rival perhaps any other time in our history, and for women, those changes have become significant. As recent as the mid-twentieth century, women have been typically viewed as subservient to men, expected to stay at home, cook dinner, and have a drink ready for their husbands when they got home. We have come a long way since then. We have seen women get the right to vote, and later, a great movement of feminism to bring equal rights to women. More women have entered the workforce, are being used in increasingly important roles, and are closing the gap in pay. Men have usually been seen as the main gender who drinks, but with the increasing equal responsibilities now shared among all of us, drinking in on the rise, and it’s women who are now equaling men in that regard. A global study released in 2016, indicates that women now have caught up with men in their alcohol consumption. The study, performed by the National Drug and Alcohol Research Center of the University of New South Wales, Australia, that more damage is being done than ever, filling up local alcohol rehabs for women with new patients. The damage being done by drinking is worse for women than it is for me. There are many biological factors, including the way the body processes and is affected by alcohol. 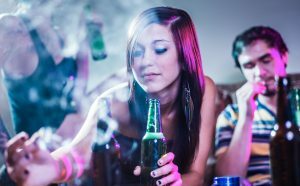 Women are not only much lighter weight that most men and become intoxicated faster, but they also metabolize it differently, leading to higher concentrations of intoxication. This can result in many riskier decisions by both genders, but more so for women, who lose their inhibition faster. Since women get drunk faster, they are likely to drink more and for equal drinking between a man and a woman, the woman suffers more physically. The increased rates of attending an alcohol rehab for women can speak to the greater effects of damage done to females by drinking. The prevalence of mass advertising promoting alcohol and glamorizing its lifestyle. There is a decreased stigma for women drinking alcohol. It is not as looked down upon for women as it once used to be. Workplace drinking. Due to the equality that women now have in the workplace, they are included in more and more of the social events surrounding work. Going out for cocktails after work or to celebrate a work victory are now commonplace. Choosing to have children at a later age. This has left women with more time to drink and go out with friends, without being tied down to a family. Self-medication. Women are more likely to self-medicate depression and other mental health issues with alcohol. Even with their reduced consumption, women are at a greater risk than their male counterparts to develop heart disease, have a stroke, liver disease, cirrhosis and loss of mental function. In addition, women are at a higher risk to develop breast cancer, even with just having a few drinks a week. That risk increase with each single drink over 3 for that week. Women are predisposed to become addicted to alcohol at higher rates than men. There needs to be more education regarding the higher risks for women so that we can all be aware of any problem drinking developing and alerting women so that they can decide to take a different action. If you are a woman and feel that you have or are developing a problem with alcohol, please take the time to arrange a consultation at a women’s alcohol rehab.